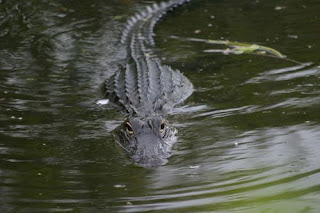 Travel on the Tide ~: Florida Alligator Hunt! Wanna go alligator hunting? Then head for the Florida Everglades. If you are an outdoors type person and you enjoy the sport of hunting as I do, you should sign up for one of the alligator hunts that are available. If you should elect to participate in one of the public water hunts that are conducted through out the state on a variety of public rivers, lakes or wetlands you will find that these hunts are encouraged by the Florida conservation commission. This commission designates what areas the hunting can be conducted on. Naturally state permits are required and the state provides over four-thousand Alligator permits annually. Keep in mind that these permits are generally issued on a first come - first serve basis. In order to add to the excitement of the hunt they are usually conducted in the evening and by airboat. The guide will arrange all the necessary paperwork such as the permits, licenses and tags while all that is required from you is to be there. The legal weapons that can be used for these hunts are bows and crossbow, harpoons and a bang stick. 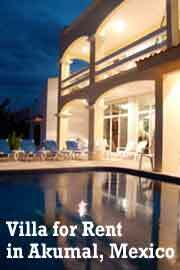 Visit our travel and vacation links site. It is indeed an experience of the lifetime. I don't know how I would reacted if I saw one. Very dangerous animal in this picture. If you want to visit at lake or river be careful (crocodile) is a dangerous animal. I am scared! It 's looking so dangerous. I think this would have been a very adventures trip for you. I think alligator is different from crocodile. At my place crocodile are endangered species and the govt. hunt them when they start to eat people at the river bank. Ouch.. I'm really scared of this creatures.... Even in the secure cage, can't make myself getting closer! Wow! It would be interesting, but I would be too scared out of my wits to do anything if I did see one of these swimming towards me. Interesting article though. Thanks for sharing.